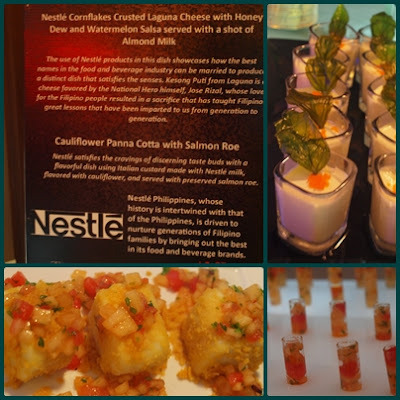 Recently, I attended an event at Blue Leaf located at Mckinley Hill Taguig City for the TastePro's 'Filipino Brands Reinterpreted in a Culinary Degustacion'. The said event was participated by groups of media, bloggers and food enthusiast.TastePro, the corporate arm of Josiah’s Catering, makes it their mission to reinterpret the country’s leading brands in a one-of-a-kind culinary event. 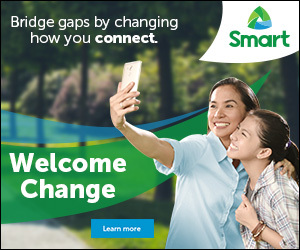 Leading brands such as Smart Communications, Mitsubishi Motors, Nestle Philippines and Universal Robina Corporation among others. The leading specialists for corporate parties and events demonstrates culinary prowess and a deep understanding of Filipino brands with its 1st Brand Degustacion. 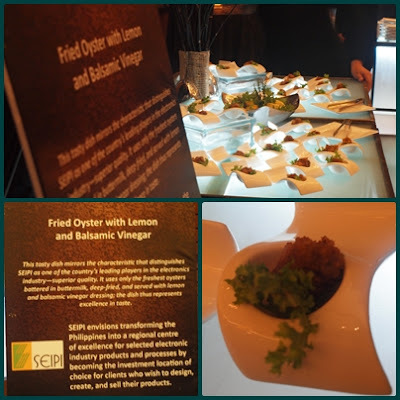 TastePro is giving attention to their corporate clients by showing them how much we know about their brand through our culinary creations. 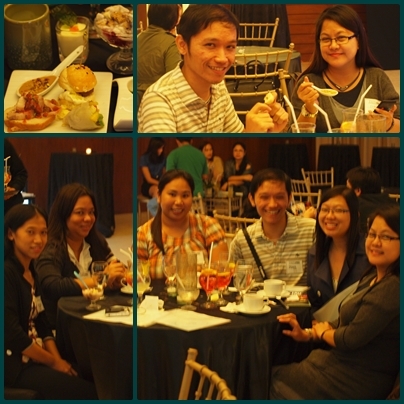 Since the Josiah's Catering as we all know, is for wedding events they prioritized corporate clients at TastePro. To launched this, degustation cocktails gave guests the opportunity to get to know their trusted companies by taste. 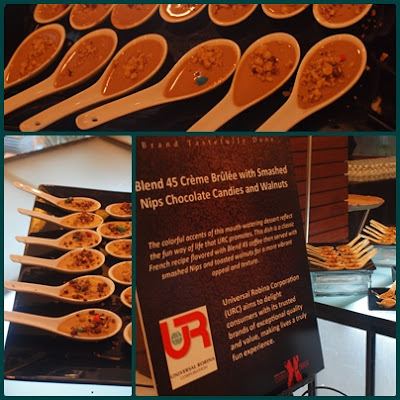 By promoting this sense of familiarity through the creative food interpretations, clients will remember the essence of service that the brand embodies. 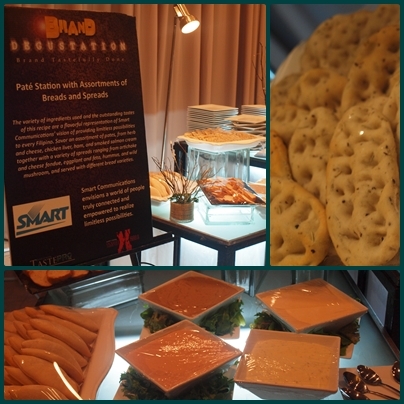 Smart Communications - the Pate Station with Assortments of Breads and Spreads reflecting the limitless possibilities and enjoy an assortment of choices. Pates such as herb and cheese, chicken liver, ham, and smoked salmon cream, or choose from a different of spreads from artichoke and cheese fondue, eggplant and feta, hummus, and wild mushroom. 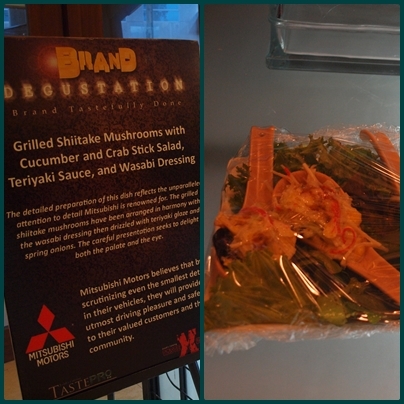 Mitsubishi - Guests can also enjoy the Japanese-inspired Grilled Shiitake Mushrooms with Cucumber and Crab Stick Salad, Teriyaki Sauce, and Wasabi Dressing. Semiconductor and Electronics Industries in the Philippines Inc’s Fried Oyster with Lemon and Balsamic Vinegar made with superior quality ingredients: the freshest oysters with premium balsamic vinegar and lemon; or satisfy your cream cravings with a taste of Cauliflower Panna Cotta with Salmon Roe, Nestlé’s Italian custard topped with cauliflower and served with preserved salmon roe. 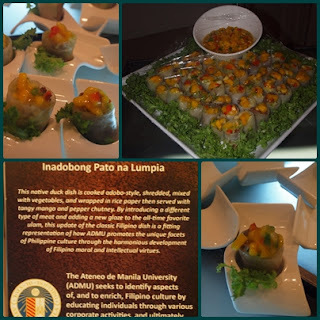 Ateneo De Manila's Inadobong Paton a Lumpia presents a contemporary adobo ensemble by using native duck meat, shredded, then mixed with vegetables, and wrapped in rice paper served with tangy mango and pepper chutney. 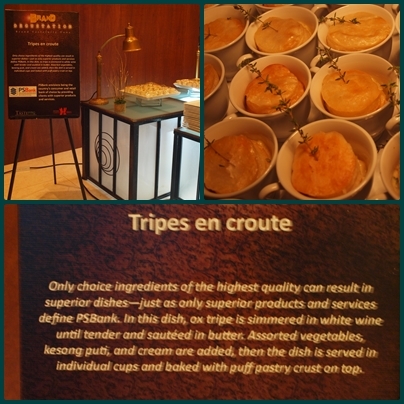 PS Bank’s quality services is seen in the careful presentation of the Tripes en Croute, ox tripe simmered in white wine until tender and sautéed in butter with assorted vegetables, kesong puti, and cream, and baked with puff pastry crust on top. 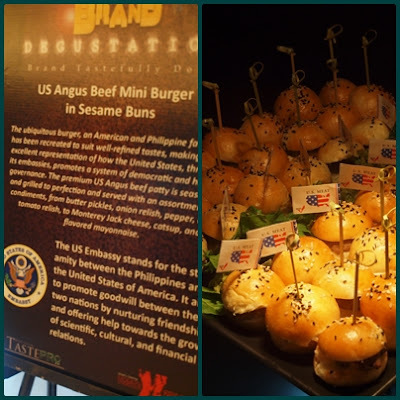 US Embassy’s US Angus Beef Mini Burger in Sesame Buns, version of the all-American comfort burgers served with a wide assortment of condiments. 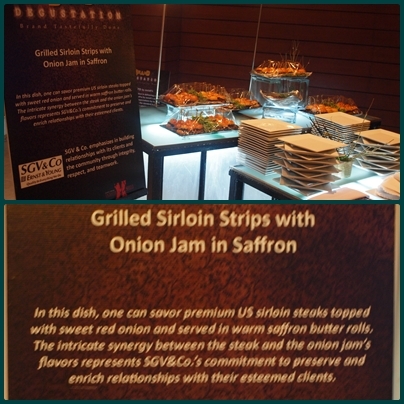 SGV & Co’s interpretation of teamwork, Grilled Sirloin Strips with Onion Jam in Saffron Rolls, has never been this delectable with premium US sirloin steaks topped with sweet red onion and served in warm saffron butter rolls. Nestle Cornflakes Crusted Laguna Cheese with Honey Dew and Watermelon Salsa served with a shot of Almond Milk. 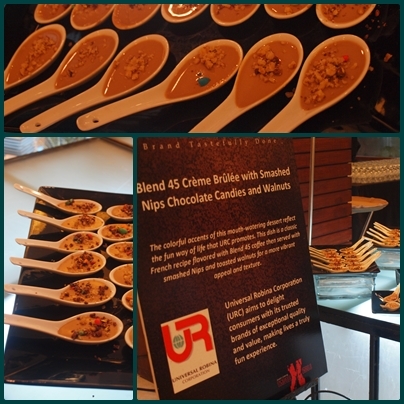 Universal Robina Corporation’s fun and colorful Blend 45 Crème Brûlée with Smashed Nips Chocolate Candies and Walnuts. 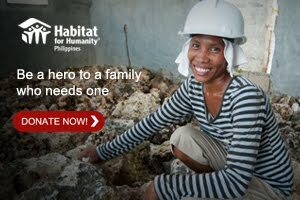 And of course, TastePRO presents Sautéed Andouille Sausage with Red Onion and Lychee Chutney. The premium French Andouille sausage grilled and served on top of the French baguette slice, and served with unique glazes. Next, the Crisp Baby Back Riblettes with Tamarind and Honey Pepper Glaze mirrors TastePRO’s drive to achieve perfection and ultimately exceed its client expectations. Finally, using superior ingredients, the Shredded Braised Pork Belly in Maple and Cherry Sauce represents TastePRO’s mission to give only the best quality of food and services to its clients. 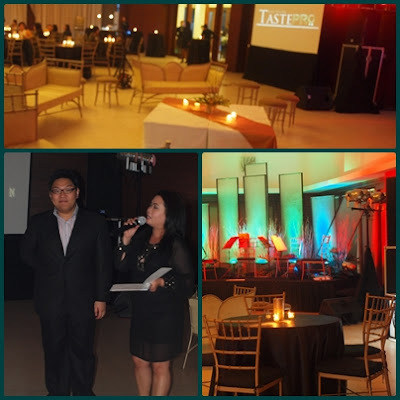 TastePro represents its tradition in delivering quality food and services that exceeds its client’s expectations by leading innovations that set the standard in the Philippine catering industry. 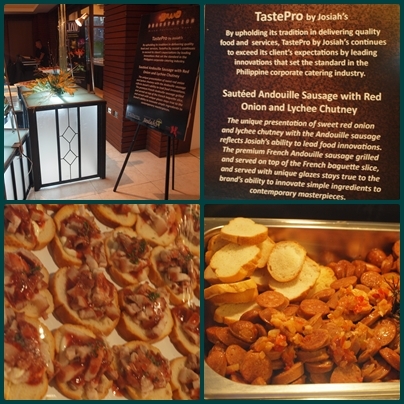 With TastePro’s latest corporate food expo, the country’s leading businesses can now have a taste of the culinary chef’s interpretation of their quality of services through its second year. Thank you and see you next year for another set of amazing cocktail meal.